Welcome to Sao Tome and Principe, officially known as the Democratic Republic of Sao Tome and Principe situated on the Gulf of Guinea on the western equatorial coast of Central Africa. It consists of two archipelagos around two main islands: Sao Tome and Principe. Discovered in the late 15th century by the Portuguese, it is natural treasure with long fringed beaches, volcanic mountaintops, birds, fishing villages with a breath-taking birdlife. A perfect paradise for those seeking for tranquillity and a peace of mind. Sao Tome and Principe has a population of 195, 716 people. WHAT’S INTERESTING ABOUT SAO TOME AND PRINCIPE? Discover the spectacular waterfalls of São Tomé, the Boca de Inferno seawater fountain and the Cascada São Nicolãu waterfall, near Pousada Boa Vista, the Ilheu da Rolas, popular tourism attraction. Hit on a typical colonial architecture and a unique atmosphere preserved in Santo Antonio, one of the main town of the island. The town is known for its local and tropical architecture and its churches. If you’re an adventurer looking for some good thrill. We suggest the two mountains of the island: Pico de Principe which is at 948m (128ft) and the Pico de São Tomé, the highest mountain at 2,024m (6,800ft) high. Its strategic location in the center of the Gulf of Guinea has been an important factor in the island’s history and culture. The island has served as a trading post and its strategic location was noticed by both sides during the Cold War. 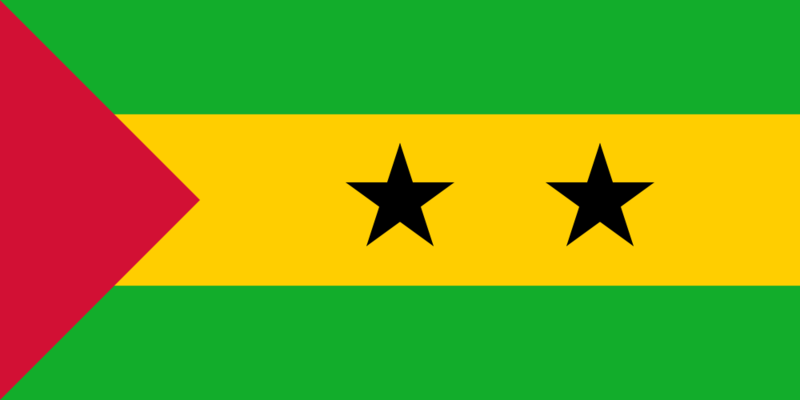 São Tomé Town is the official capital of the country and the second smallest nation in Africa. The word “nature” is the best definition of this town where one can observe huge varieties of trees, plants, crops and animals. In fact, São Tomé is home to more than 700 different species of flowers including some 100 unique kinds of orchids. São Tomé ‘s unique natural heritage is a protected area and a true paradise on earth. Museums, art, markets, marine life and tourism attractions are all part of the daily life of this town. You’ll discover the amazing life of the locals. Portuguese is the official and the national language of the country spoken virtually by all the population. The Portuguese creole is also common among the people. French and English are also taught in schools. Sao Tome and Principe is positioned as the 206th largest export economy in the world where they heavily depend on an agricultural economy. The cocoa production lies on the top of the list. Actually, the economic growth has been wholly driven by cocoa, with strong exports. Cocoa has dramatically increased the local and international investments which propelled the country as one of the main cocoa destinations. However, the oil industry is slowly become an important revenue source accounting around 40% of the country’s income. The tourism industry has also increased the country’s situation. While inciting a more diverse tourism market, Sao Tome and Principe is today able to protect their natural heritages. The main issue is the slow increase in poverty which remains a concern. Unless you’re a citizen in the country, a visa is required and passport valid 12 months. Do not attempt to enter the country without one. Safety is not an issue in São Tomé and Príncipe but the infrastructures remains modest and not well-kept as in other parts of Africa.